When Kriss documented the “Game of Thrones”/House of Cards-like power battle between Volkswagen Group chairman Ferdinand Piëch and CEO Martin Winterkorn last week, I posted the reaction that Piëch is a tough businessman and a shrewd Machiavellian whom I suspected of backing off because he couldn’t win the fight, but already had some play in mind to win the battle. This week it became obvious he did indeed have such a play in mind, but he must have confided in at least one wrong person. After he lost support from the rest of VW’s top decision makers, including his cousin Wolfgang Porsche and the state of Lower Saxony (Niedersachsen), one of the largest non-family shareholders, Piëch publicly claimed that he would back Winterkorn as well. But in the background, he was secretly rallying other family members to support him in an all-out coup to kick Winterkorn out and replace him with Porsche CEO Matthias Mueller. After marveling at some nice metal revealed at the Shanghai Auto Show, now is the time to look at some of the blatant Chinese copies and other cars you wish no one wasted good metal on. Chinese car sales data now available! Great news! In the past 18 months, Left-Lane.com has quickly established itself as the leading source of European car sales data, sorted by brand and by model. And lately we’ve been working hard at expanding our database to the biggest car market in the world with almost 20 million annual sales: China. And today we launch the result of all that hard work, as you can use the second drop-down menu on the top right-hand corner of the page to search Chinese auto sales figures of every car sold in China from 2003. That means 72 brands and more than 550 models! Those six words spoken by Ferdinand Piëch, the chairman of the supervisory board at VW, began a fascinating saga that has gripped all that follow the automotive industry over the past two weeks. He was speaking of course of Martin Winterkorn, the CEO of VW, and until that point his presumed successor as chairman of the supervisory board. With a little help and some inspiration from Daniel Carrer, I can make an interesting comparison between the car sales in France in 1985 and 2014. Although the French car market as a whole has barely grown in 29 years, a lot has happened in the brands ranking. The top-3 is still the same, with the Big-3 French manufacturers holding on to their positions, even though Renault and Peugeot have lost quite a bit of market share: 9,08 and 3,67 percentage points respectively, not even counting Talbot in the 1985 figure. Citroën on the other hand is stable, when we include DS sales from 2015. 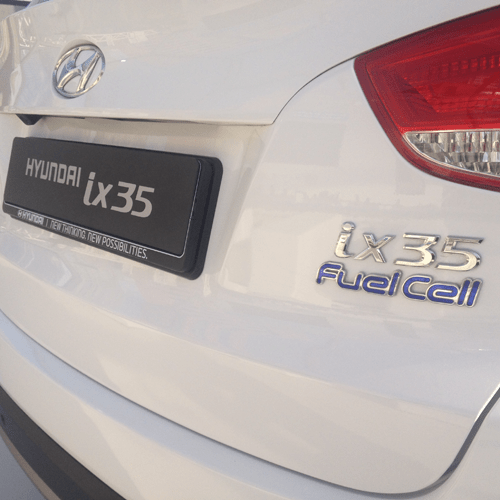 After publishing a few critical articles about hydrogen mobility on this site last year, both by myself and a guest author, most notably about the technology when compared to “traditional” Battery Electric Vehicles, I was given the chance to be among the first to drive a Hydrogen Fuel Cell Vehicle in Europe: the Hyundai ix35 FCEV. You would’ve seen the pictures yesterday if you followed me on Twitter. In the meantime, the technology has made progress and looks ever more promising, although there’s still a long way to go before hydrogen becomes a viable alternative to gasoline or diesel for a private car buyer. While Honda has had a Hydrogen Fuel Cell Vehicle available for lease in California since 2008, the FCX Clarity has never been able to reach mass production, with less than 100 cars delivered to customers. Other hydrogen test cars from BMW, Mercedes-Benz and General Motors never made it past the prototype phase. 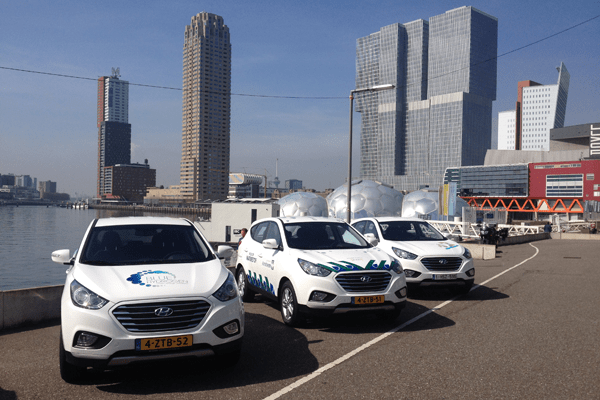 This makes Hyundai the first automaker to start mass production of a Hydrogen Fuel Cell Vehicle, when it started production of 10.000 Hyundai ix35 FCEV early this year. The South-Koreans beat Toyota to the honor, as the Japanese brand only recently started taking orders for its Mirai FCEV. After exploring the European car brand-ranking for February 2015, let’s look at sales of individual car models in Europe. The top-4 is stable on January, with Volkswagen stealing both first and second place, followed by the Renault Clio and Ford Fiesta. However, the Fiesta is likely to more than make up for its disadvantage next month, as March is traditionally the busiest month in the year for UK dealers, benefiting Ford and Vauxhall. From past experience, I expect the Fiesta to sell more than 40.000 units in March, which would help it leapfrog both the Clio and the Polo in the first quarter ranking. In fifth place we find the Peugeot 208, which is the model’s highest ranking in exactly one year and allows the 208 to outsell the Opel/Vauxhall Corsa also for the first time since the same month last year. After showing a huge gain of almost 50% in January, the Corsa is actually down a little in February, despite being facelifted recently. Following the critical and commercial success of the C4 Cactus, Citroën figured it might as well try applying the same theme to a larger crossover and created the Aircross Concept. (Slightly) less polarizing then its smaller sibling, the Aircross features plenty of the design cues that make the Cactus stand out: Air Bump inserts, funky lights and wrap-around glasshouse on the outside, minimalist dashboard design with a separate screen instead of an instrument binnacle on the inside.